When it comes to what’s hot in food right now, food festivals are a trend you don’t want to miss. Barcelona has it’s fair share of food festivals year round, but this spring an exciting newcomer has arrived on the scene. The BCN Honey Fest arrives May 20 in the Parc de la Ciutadella, and is already creating a buzz. The BCN Honey Fest offers everything you could dream of, from honey infused food and drinks to taste, to demonstrations and workshops, and a full program of interactive, educational, and fun activities all day for the entire family. A market area will be offering all honey and bee related goods from local vendors. Also featured, Bee Talks, a series of scientific and cultural presentations lating only fifteen minutes each on the many aspects of honey and bee life. However, what makes the BCN Honey Festival so sweet is it’s unique cause. The BCN Honey Festival, while also celebrating the deliciously sweet, focusses on the plight of the honey bees, who have faced a steadily declining population for the past thirty years. This is thought to be due to a reduction of habitat and the use of pesticides. As one of the largest pollinators in the world, they are responsible for one third of what we eat. This means that without these tiny tireless workers, grocery store shelves and market stalls would be nearly empty. 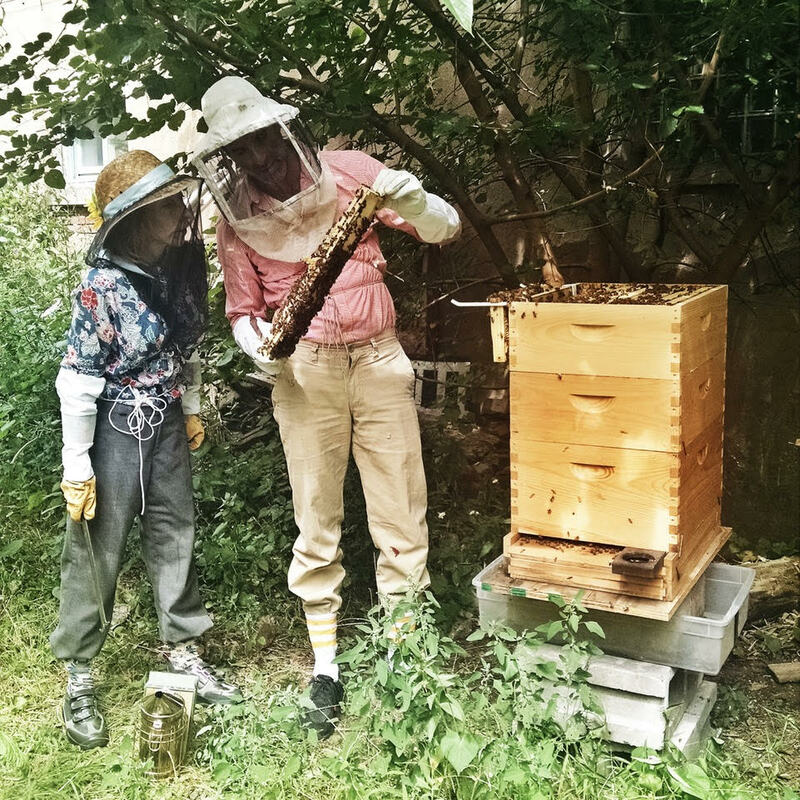 Although the Honey Festival might be new to Barcelona, co-founder Steve Rogenstein has been one of two organizers of the NYC Honey Festival in New York. Using his experience, he has prepared a unique and delicious festival that will be fun for the whole family. Come by the Parc de la Ciutadella the BCN Honey Festival on May 20, because it will be too sweet to miss. 3 days left to sign up for this exciting gastronomic event featuring Asian-inspired street food! All foodies invited! RSVP on our event page! Come out to Gastronomic Madness’s collaboration with On Fire Kitchen. Our sister project will be teaming up with Josh Weitzer to bring you Asian inspired street food that will be sure to satisfy your inner foodie! Make sure to RSVP by selecting going on our fb event page. 1. Fried vegetable pakora with mango chutney and yoghurt mint sauce. 2. Okonomiyaki: Japanese savoury pancake with prawns. 3. Thai Kao Soi chicken with fried egg noodles. Dessert: fried banana with coconut ice cream and mango. Price 32€ for a night of delicious food, friendly faces and a good time! What am I looking most forward to? The fried banana with coconut ice cream and mango! 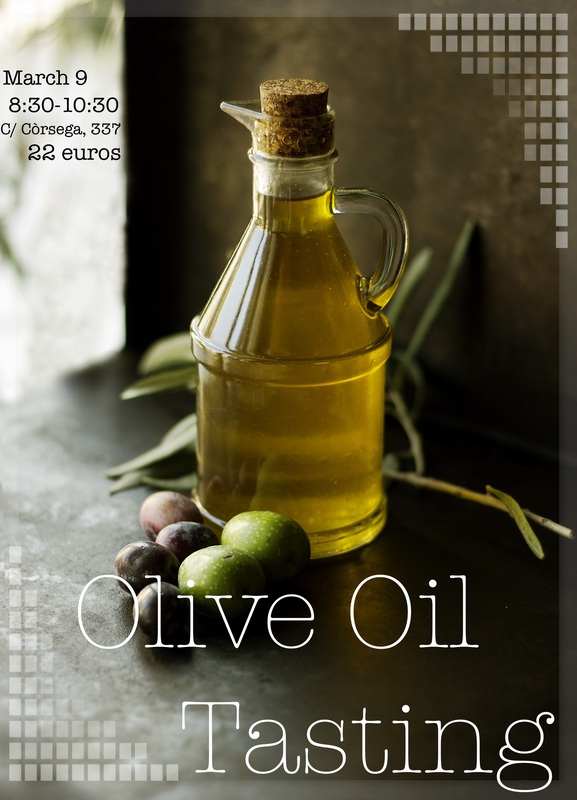 Join us on March 9th for an Olive Oil tasting. Experience Olive Oil with Davalia Olive Oil Founder Santiago Recasens. There will be 3 tapas and wine pairings, as well as some Cava to start us off. The cost to participate is 22 euros. Enjoy a night of delicious olive oil, good company, and wine with us. NEW INFO: When you arrive to the event please bring a business card to get in! 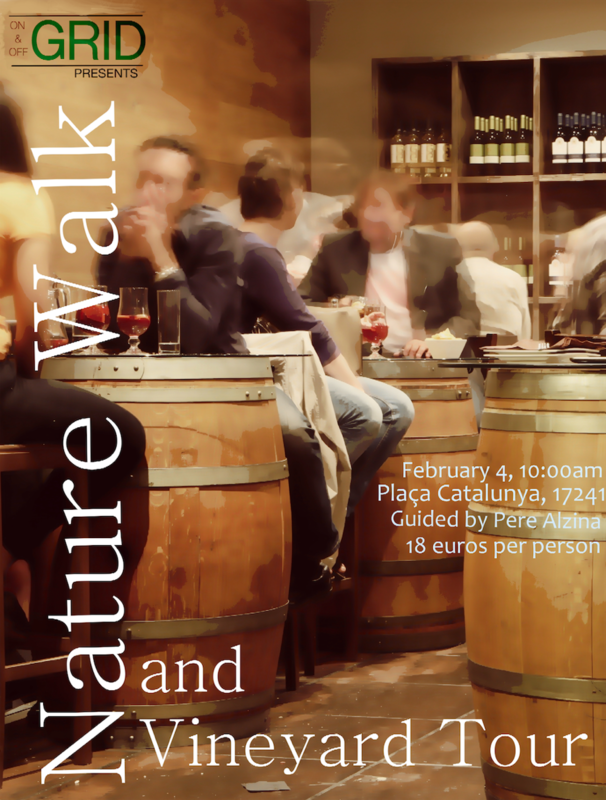 On Saturday, February 4th join us for a nature walk and vineyard visit. The nature tour will be guided by Pere Alzina and Nani will present the wine in a local cooperative small vineyard that overlooks the sea. Pere will take us on a tour outside of Barcelona. His passion for sustainable tourism is what guides the tour. We are meeting at Placa Catalunya at 10 am, and catching the train around 10.30am.